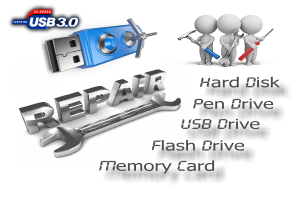 MalvaStyle USB Disk Repair is a user friendly application that can fix and repair Removable Devices such as Pen Drives, Hard Drives, Flash Drives, Memory Cards, USB Disk Drives etc. This FREE Application includes a test functionality, that will enable the user to test weather or not the device is physically damaged. This is very useful to determine the state of your device, before you attempt to repair it. 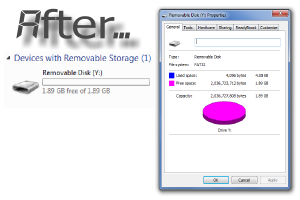 USB Disk Repair can repair a damaged or locked drive within seconds with a simple click of a button. The Application Needs To Be Run As Administrator. 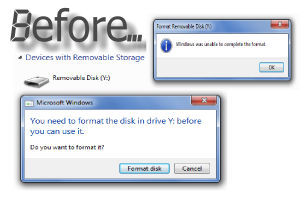 After download and installing the software, the user inserts the device and opens the application via the ‘USB Disk Repair’ shortcut placed on the desktop and start menu (As Administrator: Right Click — Compatibility — Check the Run As Administrator Checkbox). The user selects the corrupted device from the list provided in the drop down menu. The application will detect and populate all the required information from the device to continue the repair process. When the user is satisfied that the correct device is selected, the user presses the ‘Test Device’ button in order to test for physical damage. If the test passed, the user may proceed and press the ‘Repair USB’ button in order to repair the data structure of the device. Please note that when a device suffered physical damage or the physical hardware of the device is faulty, no guarantee can be given weather or not a device will be successfully repaired. In such occasions, it will be best to take the device to a qualified technician to take apart and repair the physical damage of the device. The application will format the device as part of the repairing process, meaning all data will be lost. Please use this software at your own risk, no guarantee can be given that it will be able to repair your device after the process, I take no responsibility for any damage or loss. This software will format all data, so please ensure you have sufficient backups before running this software incase anything goes wrong. Please note that when a device suffered physical damage or hardware failure, this software may not be able to repair the device and in such cases it is recommended to take the device to a specialized technician to take apart the device and repair the damaged parts. 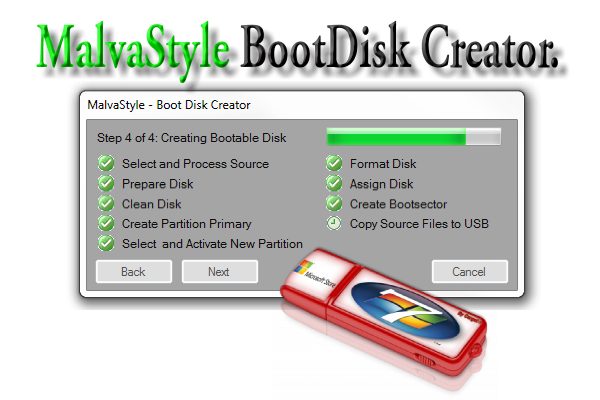 This software was designed and developed by MalvaStyle and is FREE for use. You may link to this site for download purposes from your website or blog or any social media, but you MAY NOT make this software available for download from your own site, sell or charge anyone to use this software.